I repeat, 25 days. This is fantastic. It’s like the ABC Christmas countdown! Hamtramck Disneyland: is this eccentric place in this guys backyard. Apparently he loves it when people come and check out his collection. Heidelberg Project: is this art installation that covers a few city blocks. THIS IS SO COOL. We can walk and hold hands and bond. DIA: apparently this is a really cool place to hang out on a Friday night. There is live music and good things. Detroit Riverfront/DeQuindre Cut: is a romantic walkway along the Detroit river, through a state park, and downtown. This will be a good place to get a feel for the city. Motown Museum: all about Motown! Yeah, high five! 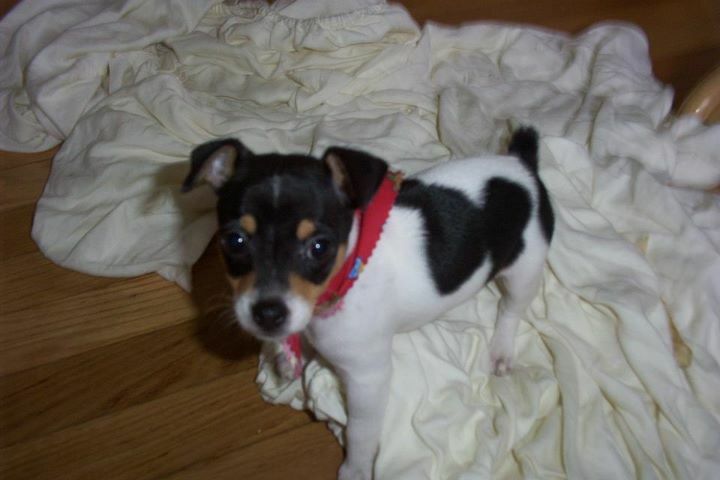 p.s this is my Coqueta when she was a puppy. She used to be cute. More updates coming soon folks! ASB REGISTRATION IS AT 7:00 PM TODAY.